2019 MDX Base FWD KEY FEATURES INCLUDE 3.5-liter V-6 engine, 18-inch aluminum-alloy wheels, Moonroof, Leather Seats, Heated Front Seats, 3-row seating, Tri-zone automatic climate control, Homelink, Keyless Access System, Backup Camera, Premium Audio, Bluetooth, Siri Eyes Free WHAT'S NEW The 2019 MDX now comes with a slew of standard features such as Apple Car Play, Siri Eyes Free, Capless fueling system, Electric parking brake with automatic brake hold, Auto high beam headlights, Idol Stop, Walk away auto lock, and SiriusXM Radio 2.0. Safety is our priority and all 2019 MDXs come with AcuraWatch which includes Adaptive Cruise Control (ACC) with low-speed follow, Collision Mitigation Braking System (CMBS) with automatic emergency braking, Forward Collision Warning (FCW), Lane Keeping Assist System (LKAS), and Road Departure Mitigation system MORE ABOUT US Mungenast St. Louis Acura, located in Manchester, MO, is your #1 retailer of new and used Acura vehicles in the St. Louis area. As the only Acura dealer in the nation to have been awarded the prestigious Acura Precision Team Award 27 times, we know that you have high expectations, and we enjoy the challenge of meeting and exceeding those standards each and every time. Allow us to demonstrate our commitment to excellence! Our dedicated sales staff and top-trained technicians are here to make your auto shopping experience fun, easy and financially advantageous. For more information, please text, call or email our Internet Product Specialist: Jason Sherrill jasonsherrill@mungenast.com 314-856-5535. 2019 MDX Base AWD KEY FEATURES INCLUDE 3.5-liter V-6 engine, 18-inch aluminum-alloy wheels, Moonroof, Leather Seats, Heated Front Seats, 3-row seating, Tri-zone automatic climate control, Homelink, Keyless Access System, Backup Camera, Premium Audio, Bluetooth, Siri Eyes Free WHAT’S NEW The 2019 MDX now comes with a slew of standard features such as Apple Car Play, Siri Eyes Free, Capless fueling system, Electric parking brake with automatic brake hold, Auto high beam headlights, Idol Stop, Walk away auto lock, and SiriusXM Radio 2.0. Safety is our priority and all 2019 MDXs come with AcuraWatch which includes Adaptive Cruise Control (ACC) with low-speed follow, Collision Mitigation Braking System (CMBS) with automatic emergency braking, Forward Collision Warning (FCW), Lane Keeping Assist System (LKAS), and Road Departure Mitigation system MORE ABOUT US Mungenast St. Louis Acura, located in Manchester, MO, is your #1 retailer of new and used Acura vehicles in the St. Louis area. As the only Acura dealer in the nation to have been awarded the prestigious Acura Precision Team Award 27 times, we know that you have high expectations, and we enjoy the challenge of meeting and exceeding those standards each and every time. Allow us to demonstrate our commitment to excellence! Our dedicated sales staff and top-trained technicians are here to make your auto shopping experience fun, easy and financially advantageous. For more information, please text, call or email our Internet Product Specialist: Jason Sherrill jasonsherrill@mungenast.com 314-856-5535. 2019 MDX Base AWD KEY FEATURES INCLUDE 3.5-liter V-6 engine, 18-inch aluminum-alloy wheels, Moonroof, Leather Seats, Heated Front Seats, 3-row seating, Tri-zone automatic climate control, Homelink, Keyless Access System, Backup Camera, Premium Audio, Bluetooth, Siri Eyes Free WHAT'S NEW The 2019 MDX now comes with a slew of standard features such as Apple Car Play, Siri Eyes Free, Capless fueling system, Electric parking brake with automatic brake hold, Auto high beam headlights, Idol Stop, Walk away auto lock, and SiriusXM Radio 2.0. Safety is our priority and all 2019 MDXs come with AcuraWatch which includes Adaptive Cruise Control (ACC) with low-speed follow, Collision Mitigation Braking System (CMBS) with automatic emergency braking, Forward Collision Warning (FCW), Lane Keeping Assist System (LKAS), and Road Departure Mitigation system MORE ABOUT US Mungenast St. Louis Acura, located in Manchester, MO, is your #1 retailer of new and used Acura vehicles in the St. Louis area. As the only Acura dealer in the nation to have been awarded the prestigious Acura Precision Team Award 27 times, we know that you have high expectations, and we enjoy the challenge of meeting and exceeding those standards each and every time. Allow us to demonstrate our commitment to excellence! Our dedicated sales staff and top-trained technicians are here to make your auto shopping experience fun, easy and financially advantageous. For more information, please text, call or email our Internet Product Specialist: Jason Sherrill jasonsherrill@mungenast.com 314-856-5535. 2019 MDX FWD w/ Advance Pkg KEY FEATURES INCLUDE 3.5-liter V-6 engine, 20-inch Shark Gray Machine Finished 5 Spoke aluminum-alloy wheels, Moonroof, Leather Seats, Heated Front Seats, Heated second-row captain chairs, 3-row seating, Apple Car Play, Navigation, GPS-linked climate control, Homelink, Keyless Access System, Backup Camera, Premium Audio, Bluetooth, Parking sensors, Siri Eyes Free, HD Radio ADVANCE PACKAGE ADDS: LED fog lights, Auto-dimming side mirrors, Roof rails, Heated steering wheel, Heated second-row captain chairs with center console, Active Damper System, Perforated Milano premium leather-trimmed interior, Natural wood interior trim, Surround View Camera system, Parking sensors, and Road Departure Mitigation system WHAT'S NEW The 2019 MDX now comes with a slew of standard features such as Capless fueling system, Apple Car Play, Electric parking brake with automatic brake hold, Auto high beam headlights, Walk away auto lock, and SiriusXM Radio 2.0. Safety is our priority and all 2019 MDXs come with AcuraWatch which includes Adaptive Cruise Control (ACC) with low-speed follow, Collision Mitigation Braking System (CMBS) with automatic emergency braking, Forward Collision Warning (FCW), Lane Keeping Assist System (LKAS), and Road Departure Mitigation system MORE ABOUT US Mungenast St. Louis Acura, located in Manchester, MO, is your #1 retailer of new and used Acura vehicles in the St. Louis area. As the only Acura dealer in the nation to have been awarded the prestigious Acura Precision Team Award 27 times, we know that you have high expectations, and we enjoy the challenge of meeting and exceeding those standards each and every time. Allow us to demonstrate our commitment to excellence! Our dedicated sales staff and top-trained technicians are here to make your auto shopping experience fun, easy and financially advantageous. For more information, please text, call or email our Internet Product Specialist: Jason Sherrill jasonsherrill@mungenast.com 314-856-5535. 2018 MDX SH-AWD w/ Tech Pkg KEY FEATURES INCLUDE 3.5-liter V-6 engine, 20-inch aluminum-alloy wheels, All Wheel Drive, Moonroof, Leather Seats, Heated Front Seats, 3-row seating, Apple Car Play, Navigation, GPS-linked climate control, Homelink, Keyless Access System, Backup Camera, Premium Audio, Bluetooth, Siri Eyes Free TECH PACKAGE ADDS High performance all-season tires, LED puddle lights, Power folding side mirrors, Rain-sensing windshield wipers, Color Multi-Information Display (MID) with turn-by-turn guidance, Blind spot information (BSI) system, Rear Cross Traffic Monitor, HD Radio, Navigation WHAT'S NEW The 2018 MDX now comes with a slew of standard features such as Capless fueling system, Apple Car Play, Electric parking brake with automatic brake hold, Auto high beam headlights, Walk away auto lock, and SiriusXM Radio 2.0. 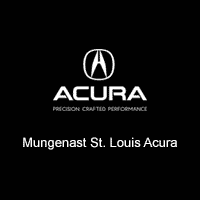 Safety is our priority and all 2018 MDXs come with AcuraWatch which includes Adaptive Cruise Control (ACC) with low-speed follow, Collision Mitigation Braking System (CMBS) with automatic emergency braking, Forward Collision Warning (FCW), Lane Keeping Assist System (LKAS), and Road Departure Mitigation system MORE ABOUT US Mungenast St. Louis Acura, located in Manchester, MO, is your #1 retailer of new and used Acura vehicles in the St. Louis area. As the only Acura dealer in the nation to have been awarded the prestigious Acura Precision Team Award 25 times, we know that you have high expectations, and we enjoy the challenge of meeting and exceeding those standards each and every time. Allow us to demonstrate our commitment to excellence! Our dedicated sales staff and top-trained technicians are here to make your auto shopping experience fun, easy and financially advantageous. For more information, please text, call or email our Internet Product Specialist: Jason Sherrill jasonsherrill@mungenast.com 314-856-5535. 2019 MDX Base SH-AWD KEY FEATURES INCLUDE 3.5-liter V-6 engine, 18-inch aluminum-alloy wheels, All Wheel Drive, Moonroof, Leather Seats, Heated Front Seats, 3-row seating, Tri-zone automatic climate control, Apple Car Play, Homelink, Keyless Access System, Backup Camera, Premium Audio, Bluetooth, Siri Eyes Free WHAT'S NEW The 2019 MDX now comes with a slew of standard features such as Capless fueling system, Apple Car Play, Electric parking brake with automatic brake hold, Idle Stop, Auto high beam headlights, Walk away auto lock, and SiriusXM Radio 2.0. Safety is our priority and all 2019 MDXs come with AcuraWatch which includes Adaptive Cruise Control (ACC) with low-speed follow, Collision Mitigation Braking System (CMBS) with automatic emergency braking, Forward Collision Warning (FCW), Lane Keeping Assist System (LKAS), and Road Departure Mitigation system MORE ABOUT US Mungenast St. Louis Acura, located in Manchester, MO, is your #1 retailer of new and used Acura vehicles in the St. Louis area. As the only Acura dealer in the nation to have been awarded the prestigious Acura Precision Team Award 27 times, we know that you have high expectations, and we enjoy the challenge of meeting and exceeding those standards each and every time. Allow us to demonstrate our commitment to excellence! Our dedicated sales staff and top-trained technicians are here to make your auto shopping experience fun, easy and financially advantageous. For more information, please text, call or email our Internet Product Specialist: Jason Sherrill jasonsherrill@mungenast.com 314-856-5535. 2019 MDX AWD w/ Tech Pkg KEY FEATURES INCLUDE 3.5-liter V-6 engine, 20-inch Shark Grey twisted machine finished aluminum-alloy wheels, Moonroof, Leather Seats, Heated Front Seats, 3-row seating, Navigation, Apple Car Play, GPS-linked climate control, Homelink, Keyless Access System, Backup Camera, Premium Audio, Bluetooth, Siri Eyes Free TECH PACKAGE ADDS High performance all-season tires, LED puddle lights, Power folding side mirrors, Rain-sensing windshield wipers, Rear Door Entry, Natural Desert Olive Ash Wood or Natural Olive Ash Burl Wood Trim, Perforated Premium Leather Interior with Contrast Stitching, Front and Rear Parking Sensors, Color Multi-Information Display (MID) with turn-by-turn guidance, Blind spot information (BSI) system, Rear Cross Traffic Monitor, HD Radio, Navigation WHAT'S NEW The 2019 MDX now comes with a slew of standard features such as Capless fueling system, Apple Car Play, Electric parking brake with automatic brake hold, Auto high beam headlights, Walk away auto lock, and SiriusXM Radio 2.0. Safety is our priority and all 2019 MDXs come with AcuraWatch which includes Adaptive Cruise Control (ACC) with low-speed follow, Collision Mitigation Braking System (CMBS) with automatic emergency braking, Forward Collision Warning (FCW), Lane Keeping Assist System (LKAS), and Road Departure Mitigation system MORE ABOUT US Mungenast St. Louis Acura, located in Manchester, MO, is your #1 retailer of new and used Acura vehicles in the St. Louis area. As the only Acura dealer in the nation to have been awarded the prestigious Acura Precision Team Award 27 times, we know that you have high expectations, and we enjoy the challenge of meeting and exceeding those standards each and every time. Allow us to demonstrate our commitment to excellence! Our dedicated sales staff and top-trained technicians are here to make your auto shopping experience fun, easy and financially advantageous. For more information, please text, call or email our Internet Product Specialist: Jason Sherrill jasonsherrill@mungenast.com 314-856-5535. 2019 MDX AWD w/ Tech Pkg KEY FEATURES INCLUDE 3.5-liter V-6 engine, 20-inch Shark Grey twisted machine finished aluminum-alloy wheels, Moonroof, Leather Seats, Heated Front Seats, 3-row seating, Navigation, Apple Car Play, GPS-linked climate control, Homelink, Keyless Access System, Backup Camera, Premium Audio, Bluetooth, Siri Eyes Free TECH PACKAGE ADDS High performance all-season tires, LED puddle lights, Power folding side mirrors, Rain-sensing windshield wipers, Rear Door Entry, Natural Desert Olive Ash Wood or Natural Olive Ash Burl Wood Trim, Perforated Premium Leather Interior with Contrast Stitching, Front and Rear Parking Sensors, Color Multi-Information Display (MID) with turn-by-turn guidance, Blind spot information (BSI) system, Rear Cross Traffic Monitor, HD Radio, Navigation WHAT’S NEW The 2019 MDX now comes with a slew of standard features such as Capless fueling system, Apple Car Play, Electric parking brake with automatic brake hold, Auto high beam headlights, Walk away auto lock, and SiriusXM Radio 2.0. Safety is our priority and all 2019 MDXs come with AcuraWatch which includes Adaptive Cruise Control (ACC) with low-speed follow, Collision Mitigation Braking System (CMBS) with automatic emergency braking, Forward Collision Warning (FCW), Lane Keeping Assist System (LKAS), and Road Departure Mitigation system MORE ABOUT US Mungenast St. Louis Acura, located in Manchester, MO, is your #1 retailer of new and used Acura vehicles in the St. Louis area. As the only Acura dealer in the nation to have been awarded the prestigious Acura Precision Team Award 27 times, we know that you have high expectations, and we enjoy the challenge of meeting and exceeding those standards each and every time. Allow us to demonstrate our commitment to excellence! Our dedicated sales staff and top-trained technicians are here to make your auto shopping experience fun, easy and financially advantageous. For more information, please text, call or email our Internet Product Specialist: Jason Sherrill jasonsherrill@mungenast.com 314-856-5535.